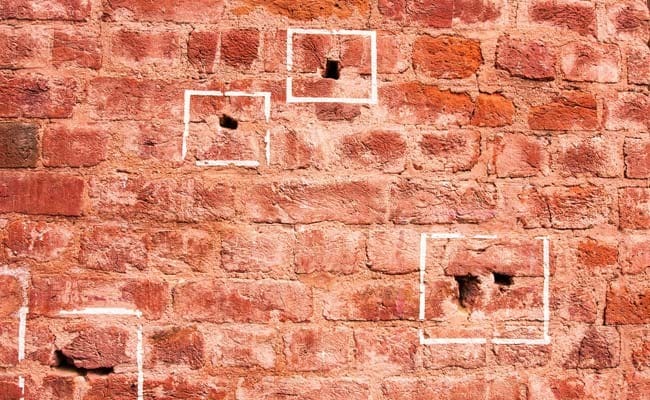 Replying to the debate on the Jallianwala Bagh National Memorial (Amendment) Bill, Culture Minister Mahesh Sharma rejected Congress' allegation that the move was guided by "negative politics" of the government and said "the way it (Jallianwala Bagh) should have been maintained, it was not done". Jallianwala Bagh memorial was established by the government to mark the massacre of April 13, 1919. A bill to remove the Congress president as a permanent member in a trust that runs the Jallianwala Bagh National Memorial to make the body "apolitical" was passed in Lok Sabha Wednesday, amid a walkout by the opposition party. "The light and sound show was in a bad state. We issued Rs 24 crore and improved its infrastructure," he stressed. The amendment states that it seeks to "delete" the mention of ''President of the Indian National Congress'' as a trustee. It also paves way for the leader of the single largest opposition party in Lok Sabha to be a member of the trust. As of now, only Leader of the Opposition in Lok Sabha is a member of the trust. Hitting at the Congress, Mr Sharma said, "Ask the people of the country that why your condition is such that you were not in a state to come as LoP (Leader of Opposition). It is not our fault." The present Lok Sabha has no Leader of the Opposition as no party as the requisite 10 per cent of the seats. "I hereby question why there should be a political party head there (trust).... Why head of a political party?" the minister said. "In the interest of the country and rising above party lines, whatever steps we have taken are in the interest of the country," the minister said. The bill also confers power to the central government to terminate the term of a nominated trustee before the expiry of the term without assigning any reason. Objecting to the bill, the Congress staged a walked out. "This piece of legislation has been brought by the government... to remove the Congress president from that trust. Only for the that purpose...this is a clear cut negative politics....We are walking out," K C Venugopal (Congress) said. Jallianwala Bagh memorial was established in 1951 by the central government to mark the massacre of April 13, 1919 under British rule when troops under the command of Col Reginald Dyer fired on unarmed people who had gathered there on the occasion of Baisakhi festival. Participating in the debate, Shashi Tharoor (Cong) said that the government should not remove Congress president from the memorial trust as the party has intimate connection with the Jallianwala Bagh massacre. "This government has been betraying India...they are betraying history of the country... they have neglected the monument and there is not enough money for running sound and light programme," he claimed. Sugata Bose (TMC) said, "We should rise above party line in order to honour martyrs of the massacre...let's leave party bickering behind us." Asking the government to make amendments to the clause that seeks to remove the trustee of the panel without giving any reason, Bhartruhari Mehtab (BJD) said it is against natural justice. Expressing disappointment over cancellation of light and sound programme at the monument, MP Rajesh (CPM) said the government should look at the issue. Opposing the Bill, he alleged it is an attempt to rewrite the history. The government should seek apology from the British government on the massacre, he said. Prem Singh Chandumajara (SAD) too demanded apology from the UK for the massacre under the British rule.